Nekki’s iOS football/soccer management game, 11×11, has been out for iOS devices for some time now, and we’d say it’s the perfect companion game (if you could call it that) for the ongoing 2018 World Cup. 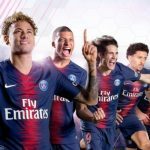 That’s because it offers you a simple, yet detailed and deep management system where you can run your team, upgrade the buildings in your football “city,” and buy players from the transfer market while advancing through, and winning more tournaments, and winning more games in league play. Just in case you’re joining us for the first time, there are no real-life players in this game, but most of the action here is PvP, which means your ability to formulate the right on-field strategies will be put to the test when playing this game. 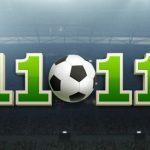 We’re now down to the last of our 11×11 strategy guides, and right now, as you may have guessed, we’re down to the advanced player’s guide, which isn’t as long as the first two, but packed with useful information that should serve you well as you take on your fellow experts in the Amateur League or higher. You think you know everything there is to know about this game? You probably thought wrong — read on, and we’ll keep filling you in! When in the first two leagues, you’ll notice that 11×11 doesn’t dock you any league points if you ever lose a match against another team. However, once you reach the Amateur league or thereabouts, you won’t be treated with the proverbial kid gloves anymore if you lose a match. So if you thought that it was too good to be true that you weren’t losing league points in the first few leagues even if you lost your share of games, then you are most definitely right — after all, it wouldn’t be much of a challenge if you just kept gaining league points with wins but not getting penalized any for losses. No need to worry, though — unlike in other soccer management games, league point deductions are fairly uniform across the board, regardless if you lose to a weak or a tough team (within the parameters of the same league), and in this game, there doesn’t appear to be any considerations for momentum or morale. You will lose and gain more points, however, depending on which league you are currently seeded in. This is one tip that we believe should have been included in our intermediate guide, but if you want to save some time in choosing your lineup, you can tap on the Auto button in the Team menu, either when choosing your formation or your tactics. There’s no need to take cohesiveness into account like in other games, which means that you’re free to switch from one formation to the next, depending on what your needs may be at the time. You will also be able to adjust your tactics before games with the Auto function, and the game appears to be quite smart with this one — more often than not, the game’s AI makes the right suggestions, meaning you’ll likely get a defensive strategy if you’re facing an attacking team that has three forwards instead of the usual two. Take note, however, that you shouldn’t rely too much on the Auto button; sometimes, you may want to fine-tune your lineup by yourself, without any help from the AI, and that’s actually recommended. For example, if you have a level 20 left defender that you want to play as center defender, the Auto function won’t take any of that into account; you’ll have to make the necessary changes manually. 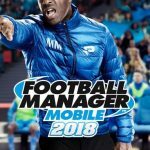 But you’ll also have no option to auto-select tactics during halftime of the game — the changes that you make, as well as your choice of players on the field, needs to be based on your needs. For example, if you’re down by two goals at halftime, you’ll have to do things yourself and switch to a more attacking strategy, and you’ll also have to line up those five defenders yourself if you want to go 5-4-1 and protect the slim lead you have over a tough opponent. We’ve talked a lot about tournaments, but not about the PvP Tournaments, which become available to you at stadium level 3. This is a more elite tournament than the standard ones you may be used to playing at this point, but with that comes a lot of catches and twists that you need to be aware of. First of all, you will not be able to auto-play in here, because the games are in real-time against human opponents — you’ll have to watch every minute of the match and hope you made the right decision until halftime comes along! (Or until the game ends.) You will also be up against far more formidable competition than the AI, as you may have surmised based on the type of the tournament. You’ll also need to pay more premium currency in order to continue — losing in the semifinal match for a bronze tournament will cost you 10 Boosters to restart, while losing in the final will cost you 20. (This goes up to 50 for Silver, 100 for Gold, for your first retry.) You’ll only have one free attempt per day, so make the most out of it, because the rewards in here are worth it — for example, you’ll get one Rare player pack in bronze, which is pretty good value for winning two games in order to win the tournament! 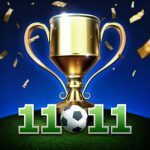 You should be aware at this point that you will be able to level up in 11×11 as you collect more ribbons from the achievements you complete. As such, it could take a while for your Manager Level to increase, but the main benefit of moving up from one player level to the next is definitely worth the proverbial price of admission. That main benefit is a higher maximum level for the players you already have on your team. Naturally, that’s just par for the course, as your opposition will also be getting tougher, thus necessitating a team where almost everyone in your starting lineup is Rare or better, with their talent at 5-6 stars or more. But you get the idea — higher Manager Level means more opportunities to level up your existing players! The Champion Player pack is a special, limited offer in 11×11, and in here, you can expect XP, cash, and most importantly, a Champion rarity player — that, in case you’re wondering, is the rarest of them all in the game, even more so than Legendary by virtue of their being limited-time, but somewhere between Unique and Legendary in terms of overall strength. While Rare, Unique, and Legendary player packs can be purchased with your Boosters, Champion player packs are real-life cash-only, and would first cost $3 as an introductory special, with only a handful of resources and a special form. You might not need a Champion player just yet if you’re still in the early stages, but if you’re already an advanced player, you might as well plunk down the money and add a Champion to your lineup for that first-time discounted rate. For your second, and final Champion pack purchase, which is worth $7, you’ll get one player and much more resources than what you got in the first pack. 6. Should You Complete Quests For Boosters? We know what you’re thinking — you may be excited because you saw the word “quests,” and you may be thinking that there are “traditional” quests in 11×11 that could allow you to earn more of those precious gold coins known as Boosters. However, the quests we’re referring to here were so named by the folks behind the game, and these would otherwise be known elsewhere as Tapjoy offers. Click on the Shop icon on the upper right of your screen and you’ll see the Tapjoy button, which specifies that you can win anywhere between 1 and 150 Boosters for completing an offer. The good news is that you can win far more than 150 if you choose the right offer — one of them, as we can see, is worth 519 Boosters. (This figure may vary depending on where you’re located.) The bad news, however, is that Tapjoy offers are often very frustrating to complete, and even if they aren’t, they could be time-consuming, as a lot of them require you to reach a certain level when playing a partner game like Lords Mobile, Castle Clash, or Coin Master. We’d say it’s worth a try to complete a Tapjoy “quest” or two, because let’s face it — Boosters aren’t always the easiest currency to acquire. 7. Choosing Your Penalty Shooters, Etc. The aforementioned Auto button in the Team menu also applies to the Roles tab, which is where you can choose the order of players to take free kicks, corner kicks, and penalty kicks. Traditionally, you want someone with a corresponding special ability for Free Kicks or Corners to lead the way in those roles, and your best shooter (in terms of their stats) to take the penalty shots ahead of everyone else. But since that would be time-consuming, we recommend that this is one area where you can use the Auto feature and save some valuable time. We probably should have included this as a basic or intermediate tip, but since you’re likely reading this guide because you’ve been around and back quite a bit while playing 11×11, you may have wondered at one point or another about the real deal with the players on your team — are they capable of aging, or can you theoretically keep them around forever, as long as they serve a purpose? This may not sit well with those who prefer a more realistic management experience, but otherwise, you can at least rest easy when you find out that they don’t age, they don’t lose morale during a losing streak, and they don’t require that you put them in a game every now and then so that they don’t demand to be traded. Sure, those are common features in other football management games, but in 11×11, the aging/fatigue/morale/desire for playing time aspects of things are largely ignored in favor of fast gameplay and the desire to keep management as simple as possible.